I recently received a $200 giftcard on behalf of Sears so that I could do some last-minute holiday shopping and write about my experience with their website and products. The Sears & Kmart gift card is redeemable at Sears, sears.com, Kmart, kmart.com, Lands End and landsend.com. All of these combined offer such a wide variety of brands for you to choose from, which most single-retailer gift cards don't provide. Needless to say, I accepted the challenge! Keep reading to see what I bought and to find out what I think about shopping the Sears family of websites! 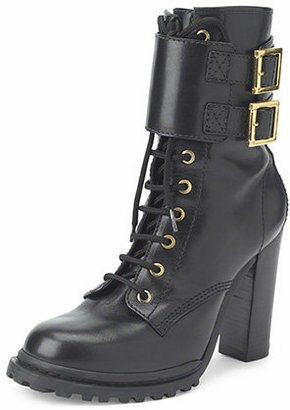 Rugged yet refined, these Tory Burch Donna Lace-Up Boots are now on sale at toryburch.com in very limited sizes for $357. Get them in brown for $595 at saksfifthavenue.com. 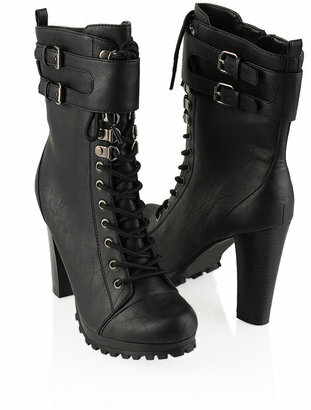 For a similar look that costs a lot less, try the Rogeri Trooper Fashion Boot for $36.80 at forever21.com. 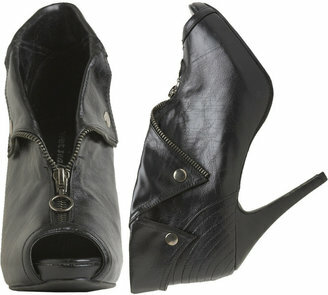 These Alexander McQueen Biker Jacket Booties can be yours for $1,155 at Bergdorf Goodman. Wet Seal wants to give you this look for $19.50. Click any image to purchase.